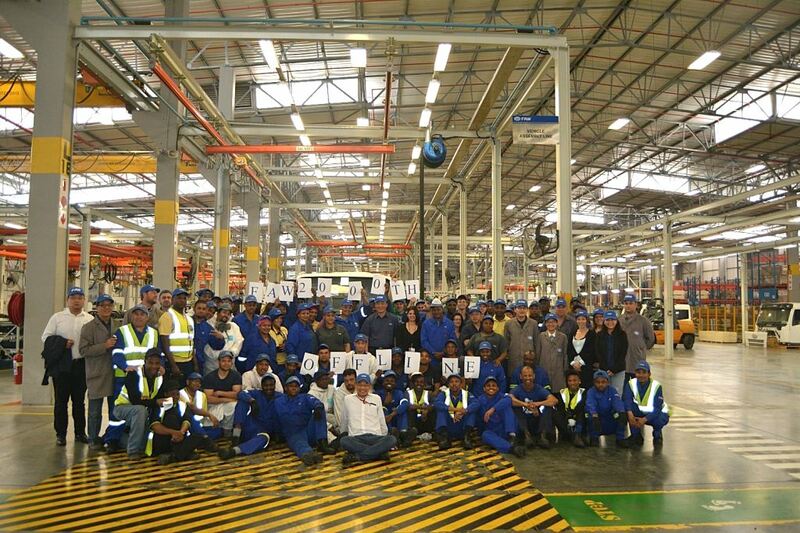 Management and staff of FAW Vehicle Manufacturers South Africa (Pty) Ltd gather to celebrate the 2000th truck built at the Coega plant. 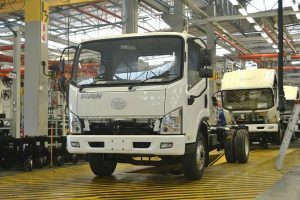 It was a proud day last month when FAW Vehicle Manufacturers South Africa (Pty) Ltd produced their 2 000th locally built truck at the Coega plant. Employees and plant management gathered to celebrate the occasion with high praise and gratitude expressed by local and international FAW management to the workers for maintaining a highly compliant quality production process since the plant’s start up in July 2014. According to Jianyu Hao, CEO of FAW SA, the build standard of FAW trucks at the plant is such that the company received an international FAW award in recognition of “outstanding quality”. In the relatively short period since opening its US$60-million (R824-million) plant in the Coega IDZ in the Eastern Cape, FAW Vehicle Manufacturers South Africa (Pty) Limited has seeing growing returns, despite the sluggish markets. This is mostly evident in the steady advance in the number of exports, with local customers’ confidence increasing in the FAW brand. Less than a year after the plant opened, FAW made a further multimillion Rand investment in a truck body-building facility which includes a fully-fledged paintshop. This is situated adjacent to the vehicle manufacturing plant. “FAW SA is resolute in having chosen South Africa as its base for the Southern African region. We have become a proud business citizen of South Africa and positively affirm our original assessment of South Africa with the motto – ‘Built in South Africa, for Africa,” says Hao.